This summer, Lt. Col. Khallid Shabazz will become the first Muslim to be a division-level chaplain in the history of the U.S. military, according to McClatchy. 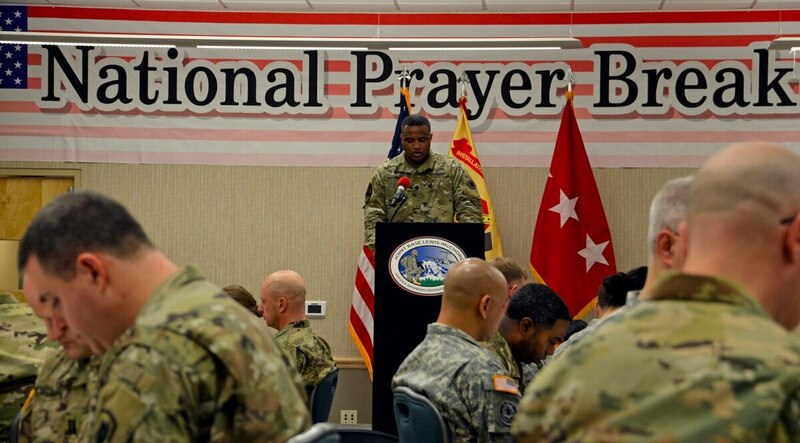 As chaplain of the Army's 7th Infantry Division at Joint Base Lewis-McChord in Washington state, Shabazz will be the spiritual leader for more than 14,000 soldiers, most of whom are Christian. Currently, there are just five Muslim chaplains in the Army and only 10 in the entire military. Michael Barnes, a devout Christian raised in Louisiana, converted to Islam and took the name Khallid Shabazz. He said he felt a deep connection with the tenets of Islam, such as the absence of clerical hierarchy and the focus on charity. Shabazz's conversion to Islam initially did not go over well with his family. Now, they tease him about praying on time and they make him a special gumbo — minus the pork. Shabazz also emphasizes that such gestures must go both ways. "I do still go to church with my family — that's an important part of reaching across the aisle," he said. "It would be improper for me to disrespect something that instilled in me so much of who I am." Shabazz has now served 26 years in the Army, including 18 years as a chaplain. Over the years, he has counseled scores of soldiers, the majority of which have sought assistance for alcoholism and relationship problems. Some have refused to work with Shabazz because of his Muslim faith, but Shabazz says it doesn't bother him and that he lives by the chaplain's motto of "perform or provide." "Some of the challenges will be really changing perceptions, changing mindsets, showing that I am something other than what they see — the guy on TV, the boogeyman," Shabazz said. "I have a real opportunity to be an ambassador for the Army and for my religion." Mackenzie Wolf is an editorial intern for Military Times.